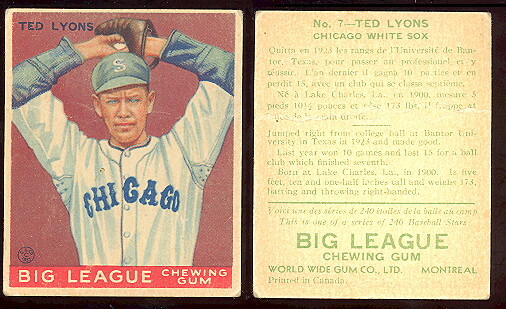 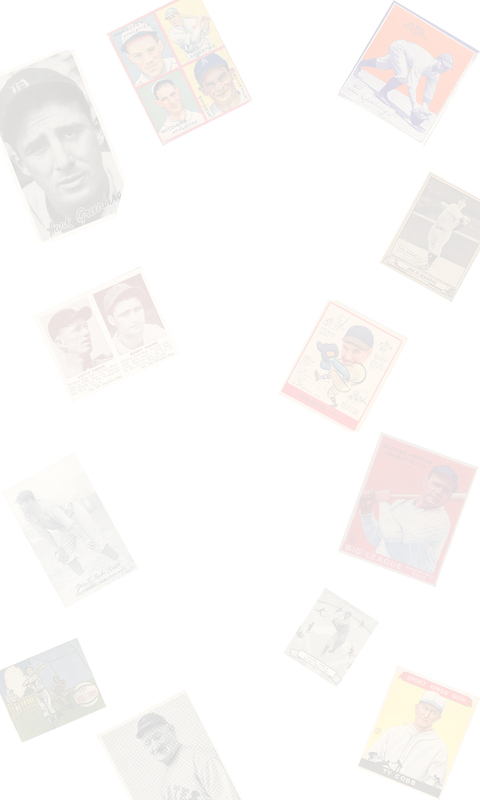 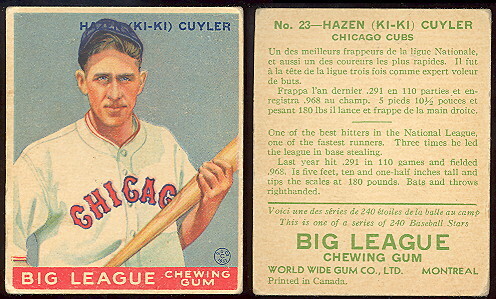 This page features World Wide Gum Canadian Goudey cards from 1933, 1934 and 1936 (V353, V354 & V355). 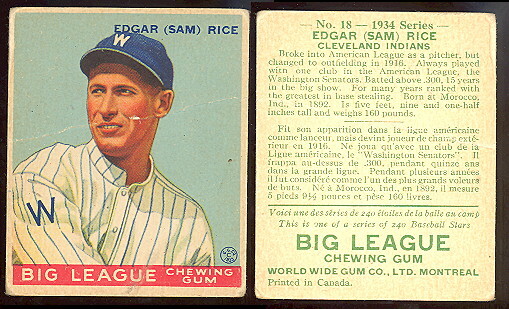 Also known as "Canadian Goudeys" this 94 card set drew heavily on its U.S. contemporary. 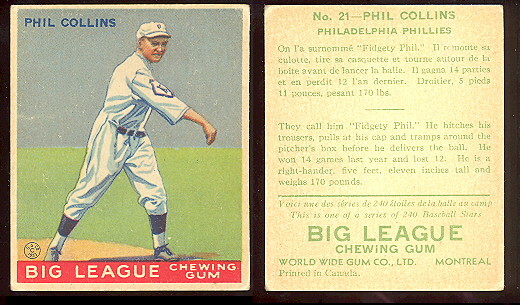 Card fronts are identical to the 33 Goudeys and the backs are nearly so. 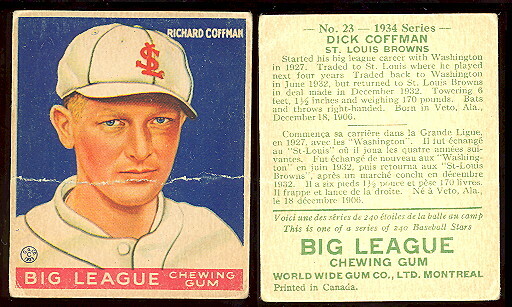 The first 52 cards carry the same card numbers as their American counterparts, while #53-94 have different numbers than the U.S. version. 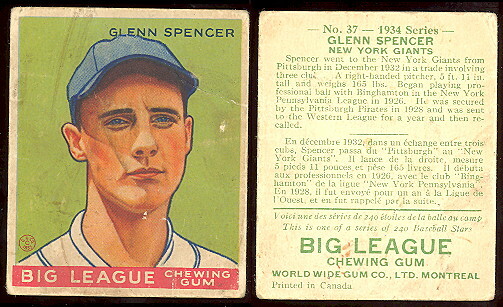 Card backs can be found entirely in English or in English and French, the former being more scarce. 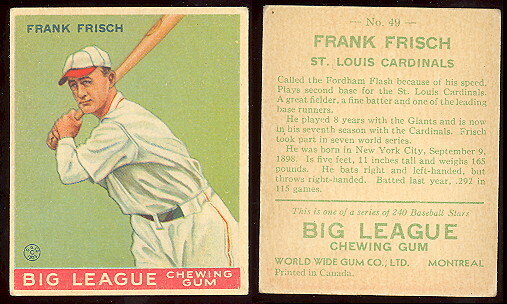 The cards measure 2-3/8" X 2-7/8". 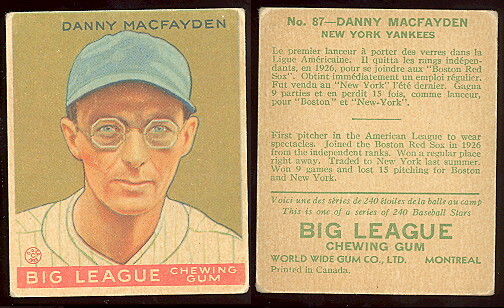 The 1934 are nearly clones of the U.S. version, but can only be found in bi-lingual text. 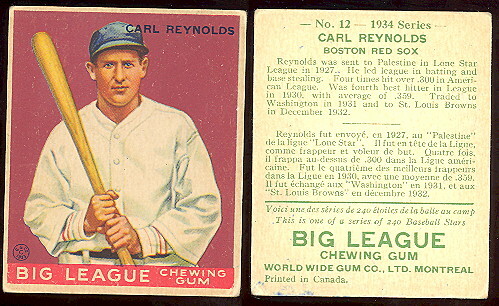 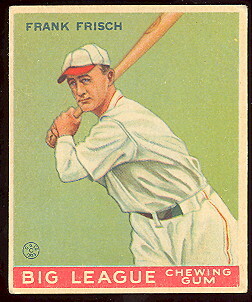 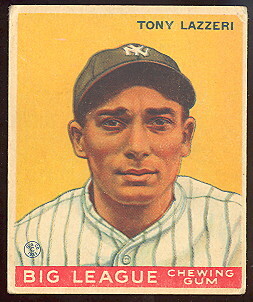 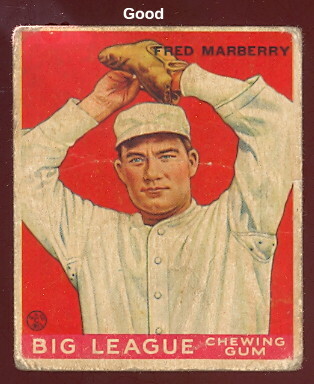 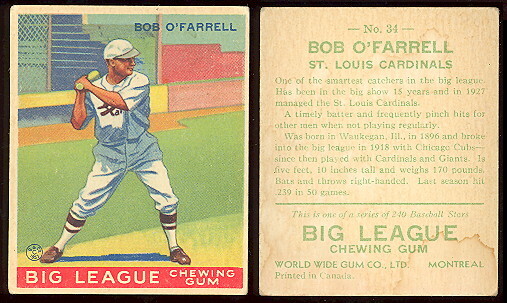 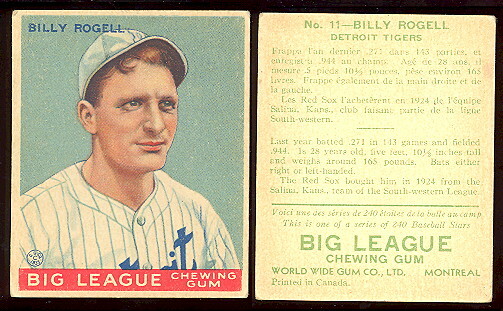 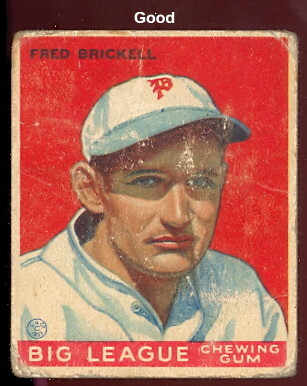 Cards 1-48 have card fronts that are the same as the 1933 issue. 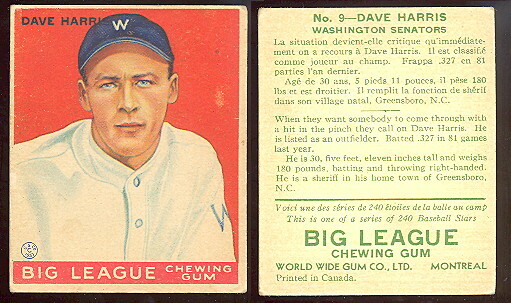 World Wide Gum Canadian Goudey cards from 1936 V355. 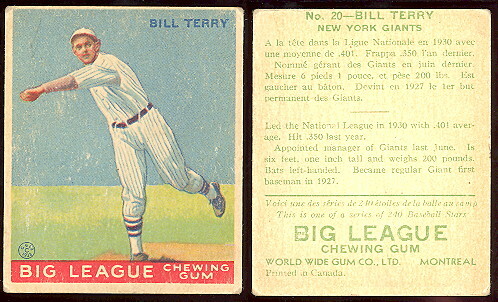 These are Black and White with a short bio on the back in English and French. 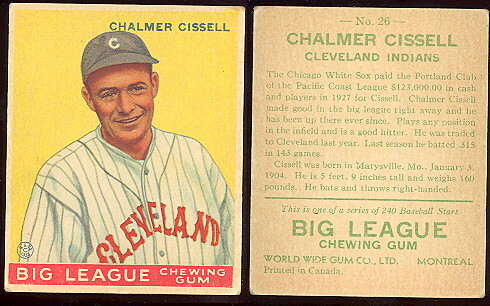 There are 135 cards in the set and they measure 2-3/8" X 2-7/8". 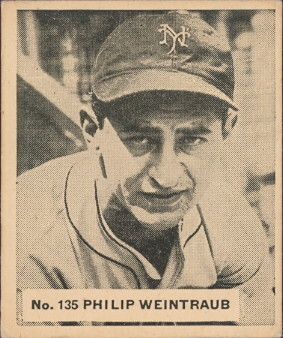 Featuring #135, last card in the set, very rare Jewish Ballplayer Philip Weintraub.